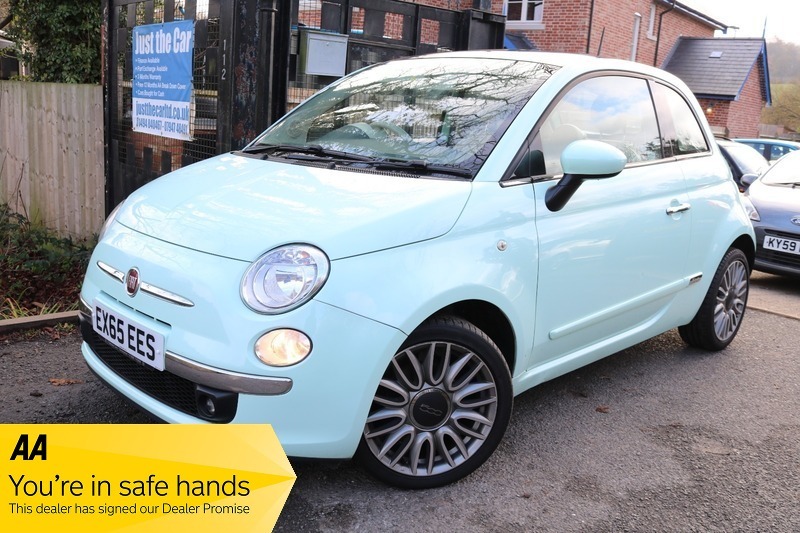 Please call Amit on 07947 485491 to arrange a Viewing, Mileage is 19040 Miles, This 2016 Fiat 500 Lounge Twin Air finished in Smooth Mint. Is a One Lady owner vehicle having covered only 19040 miles and benefiting from a full main dealer service history. A beautiful example throughout and giving you low insurance and tax groupings it really has to be viewed to be appreciated simply stunning. HPI Clear, MOT till 31/08/2019, Half White Leather Seats, White Steering Wheel, Very Nice to Drive, Great Condition for year and Mileage, 4 Fiat Services to 17780 Miles on 24/08/2018, 3 Months Parts and Labour Warranty Included, We promise all our customers excellent service, and an enjoyable sales experience. We accept part exchange vehicles. We also buy cars instantly. The following services are offered as standard. Free 12 Months AA Breakdown Cover Included, 5 days Fully Comp ins is available for a small fee subject to terms and conditions, HPI check, Finance Available, All major credit and debit cards accepted. We are located 7 Miles from M25 Junction 18. We look forward to meeting you all., For more Great cars visit www.justthecarltd.co.uk.